For today’s deals roundup, we have covered the best portable speakers that are available on Paytm Mall for less than Rs 1,200. If you have a limited budget and you are looking for a portable speaker that can give your music a boost, then you are in the right place. We have picked out some of the best deals Paytm Mall has on Bluetooth speakers, which are available on the platform under Rs 1,200. The Zebronics Saga Portable Speaker is Bluetooth 4.2 enabled and works within a range of 10 meters from a connected device. Beside regular Bluetooth streaming, the device is also equipped with a USB & microSD card slot for streaming music via compatible devices. It also has an FM radio in it. Click here to buy. 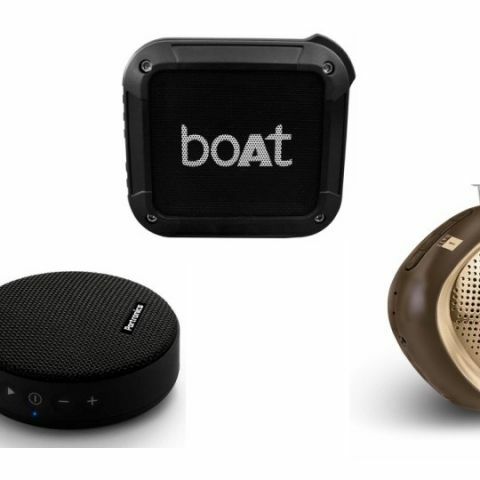 The boAt Stone 200 is a waterproof and shockproof Bluetooth speaker, which features an IPX5 rating. The speaker is Bluetooth 4.1 enabled and feature a 50mm driver. As per the company, it can provide up to ten hours of continuous music playback. Click here to buy. The iBall Musi Cube is a wireless music streaming Bluetooth speaker, which is also equipped with a microSD card slot and an AUX port to stream music. The device also has a built-in FM and an LED lamp that can be used at the same time you are listening to your tracks. As per the company, it can deliver up to four hours of music playback in one go. Click here to buy. The Portronics Sound Bun is a compact speaker, which according to the company can fit into your pocket easily. The device is Bluetooth 4.1 enabled and comes with an AUX port and a microSD card slot as well. The company claims, that it can work for up to four hours on a single charge. Click here to buy. The Motorola Sonic Play+ is an IP54 water-resistant portable Bluetooth speaker. It comes with a built-in FM and a microSD card slot as well. As per the company, it has a battery life of up to ten hours. Click here to buy.